According to the Occupational Safety and Health Administration (OSHA), “fall protection” (or lack thereof) is the single most frequently cited safety standard. 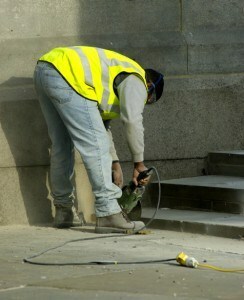 Companies that don’t offer adequate protection to their workers against falls could be subject to fines and penalties. Of course, there’s good reason for this — in 2009, 605 workers died as a result of same-level and elevated falls, whereas another 212,760 workers suffered non-life-threatening injuries from falling on the job. Construction experienced the highest rate of fatal fall incidents, while health services experienced the highest rate of non-fatal falls. Regardless of your industry/sector, though, you should take some additional precautions to ensure workers are safe and protected against falls. 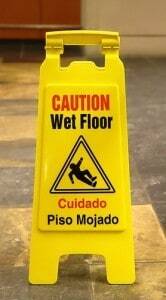 One all-too-common cause of slip-and-fall incidents is from spilled chemicals and liquids. 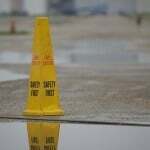 When workers fail to clean up spilled chemicals in a timely manner, it creates a dangerous scenario for other workers. An unsuspecting worker could step into a puddle of oil, for instance, losing his or her balance. It only takes a couple drops of oil or lubricant to turn an area of the floor into a slippy fall hazard, so make sure all spilled chemicals and liquids are cleaned in a timely manner. Falls from elevation are typically prevented through use of guard rails and similar safety structures. If a construction site has an elevated catwalk, OSHA standards require it to have guard rails to protect against falls. For more details regarding the use of catwalk guard rails, visit OSHA’s official website here. The CDC noted that work-related fall incidents are often attributed to “slippery, cluttered or unstable walking surfaces.” This may sound like common sense, but you would be surprised to find out just how many workplaces conduct their day-to-day operations with unsafe floors. Whether it’s debris, heavy machinery, power tools, lumber, etc., floors should have clean and clear paths defined strictly for walking. Allowing these areas to become cluttered creates a serious fall hazard for workers on duty. “Circumstances associated with fall incidents in the work environment frequently involve slippery, cluttered, or unstable walking/working surfaces; unprotected edges; floor holes and wall openings; unsafely positioned ladders; and misused fall protection. Federal regulations and industry consensus standards provide specific measures and performance-based recommendations for fall prevention and protection. However, persistent unsafe practices and low safety culture across many industries define steady fall injury rates year after year,” wrote the Centers For Disease Control and Prevention (CDC). The January 9th chemical spill in which some 7,500 gallons of the coal-cleaning chemical 4-methylcyclohexanemethanol (MCHM) leaked into the nearby Elk River is believed to be one of West Virginia’s worst ecological disasters of all time. It left nearly 300,000 residents in nine counties of the Charleston, West Virginia metropolitan area without access to clean water. While officials have since declared the water safe to consume, the effects of this disaster are still being felt throughout the state. Last month, the West Virginia Department of Health and Human Resources (DHHR) released a medical report on the injuries and illnesses stemming from the January 9th chemical spill. The purpose of this report was to determine what type of impact MCHM had on residents’ health. Government officials contacted nearly 800 medical professionals in the the Charleston, West Virginia metropolitan area, asking them to provide data on injuries and illnesses related to the chemical spill. According to the DHHR’s report, 63 of the 800 medical professionals responded to the request. Granted, this is a low response rate, but it provided some rather interesting information regarding the incident and its impact on public health. The report reveals that the most common symptom of exposure to the MCHM was itching. 32 residents in the Charleston, West Virginia metropolitan area complained to doctors and medical professions about itching. The second most common symptom of exposure was a skin rash, which was reported by 13 people in the area. It’s important to note that data collected for the report was based strictly on the response from the 63 medical professionals. West Virginia government officials noted that hundreds of residents had initially reported adverse symptoms stemming from exposure to the MCHM. Other reported symptoms include coughing, eye irritation, vomiting, nausea and headaches. While hundreds of residents reported experiencing adverse symptoms related to MCHM exposure, there were no fatalities attributed to the Elk River chemical spill. Officials say the DHHR’s report is consistent with earlier reports conducted by the CDC and West Virginia Poison Control Center. “What we are seeing is consistent with the information that has been previously reported by the West Virginia Poison Center, the Center for Disease Control and Prevention’s (CDC) initial medical chart review from emergency departments and the population survey conducted by the Kanawha-Charleston Health Department,” said Letitia Tierney, State Health Officer and Commissioner for the Bureau for Public Health. From rags and fabric wipes to granulars, booms, pillows, socks and more, there are dozens of different types of absorbent products available. When a chemical spill occurs in the workplace, workers should use these items to contain and eventually clean it. As the name suggests, absorbent products absorb liquids, preventing spilled chemicals from further contaminating the workplace. But what happens to these products after they are used to absorb chemicals? Sending chemical-soaked rags and wipes to a “normal” laundry facility could result in the chemical flushing into the municipal sewer system, and simply tossing them in the trash could result in a fire due to the possibility of spontaneous combustion. As noted on the Massachusetts’ Executive Office of Public Safety and Security website, oil-soaked rags generate heat and oxygen: two key components for fire. Even if there’s no visible flame or source of heat nearby, oak-soaked rags may catch fire when balled up and tossed on the floor or in the trash. 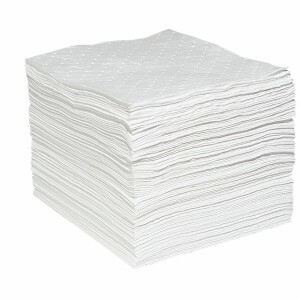 Reusable absorbent products, such as rags and certain types of wipes, can be effectively laundered. However, business owners should contact the laundry facility beforehand to determine whether or not they will accept them. Most industrial laundry facilities are fully trained to properly clean chemical-soaked rags and reusable wipes, allowing businesses to continue using them. If the rag or wipe is contaminated with a “hazardous chemical other than oil,” the business owner should contact the Environmental Protection Agency (EPA) for more information on how to properly dispose of it. The EPA recommends businesses keep two separate stacks of used rags and absorbent products: one for non-hazardous chemicals, and another one for hazardous chemicals. Before we go into ways to stay cool, let’s first discuss heat stroke. This heat-related illness occurs when the body can longer regulate its core temperature, at which point heat continues to build while placing vital organs at risk for shutting down. Sweating is the body’s natural defense mechanism against overheating. When an individual begins to overheat, he or she will sweat to cool off. The perspiration takes heat away from the body as it evaporates; thus, lowering the individual’s core body temperature. Normally, sweating is an effective biological process that protects against heat stroke. In cases of heat stroke, however, the individual will stop sweating. And without sweat perspiring from the body, there’s no outlet for the heat to escape. Depending on the severity of the condition, their skin may feel dry and arid, which is a red flag of heat stroke. If you believe someone is suffering from a heat stroke, call 911 immediately! Heat exhaustion is less severe condition associated with prolonged exposure to high heat. It’s characterized by the body’s loss of electrolytes. In cases of heat exhaustion, a worker will perspire his or her electrolytes, resulting a rapid pulse, excessive sweating, muscle weakness, vomiting, and lethargy. Wear clothes made of light, breathable fabrics. Stay in shaded areas when possible. Certain types of medication may increase the risk of heat-related illness. Wrap a wet towel around your head and neck for instant cooling relief. If you’re working outside during the summer, take a short 5-10 minute break every hour. Avoid drinking caffeine and/or sugary beverages. Wear light-colored clothing to reflect sunlight. When possible, work outside during the mornings when the sun hasn’t reached its peak yet. Hopefully, this will give you a better understanding of the dangers of heat-related illness and how to prevent them. The Occupational Health and Safety Administration (OSHA) issued an $11,000 fine to the company responsible for the massive West Virginia chemical spill which left some 300,000 residents without access to clean water. On January 9, 2014, approximately 7,5000 gallons of the coal-cleaning chemical crude D4-methylcyclohexanemethanol (MCH) leaked from a one-inch hole at the bottom of a storage tank owned and operated by Freedom Industries. The chemical traveled downhill where it eventually ended up in the Elk River — a primary source of water for nine counties in the Charleston and West Virginia metropolitan area. It’s been 6 months since the incident occurred, but it looks like OSHA is finally cracking down on those responsible. Earlier this month, OSHA announced that it was citing Freedom Industries for failure to create a liquid-tight seal around its storage tank, imposing a $7,000 fine. In addition, OSHA also cited Freedom Industries for failure to provide standard railings on elevated platforms used to traverse across its storage tanks, imposing a $4,000 fine. 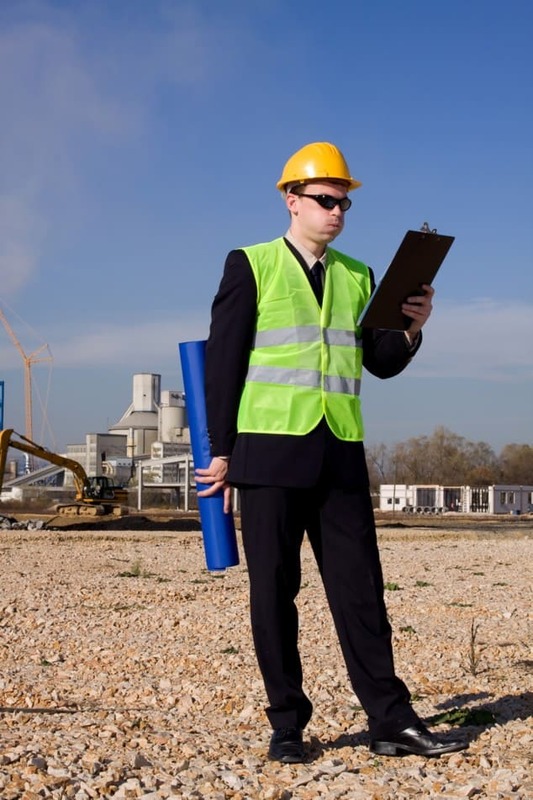 As with all OSHA citations, Freedom Industries has 15 days to either comply, request an appeal, or request a face-to-face meeting with an OSHA representative. There’s been no official statement made by Freedom Industries following news of the citations. The January 9, 2014 chemical spill was one of the worst chemical spills in West Virginia’s history. Thankfully, there were no deaths attributed to the coal-cleaning chemical, but thousands of residents reported suffering from a wide range of adverse symptoms, including nausea and vomiting. Government officials continue to test the water in West Virginia’s Elk River to ensure it’s safe for public use and consumption. The Centers For Disease Control and Prevention (CDC) recommends families maintain a minimum 3-day water supply per person for disasters such as the West Virginia chemical spill. “Encouraging households to prepare a 3-day water supply for each person and pet in the Page 25 of 66 household would promote households taking an active role in the recovery process and help them become prepared for future disasters. The website Ready.gov recommends storing at least one gallon of water per person per day for drinking and sanitation; the website also details water preparedness recommendations for special populations,” wrote the CDC in its document titled, Disaster Response and Recovery Needs of Communities Affected by the Elk River Chemical Spill, West Virginia. Of course, maintaining a 3-day water supply per person is a smart preventive measure for any family to take. Whether you live in West Virginia or not, there’s always a possibility of disaster striking without notice. 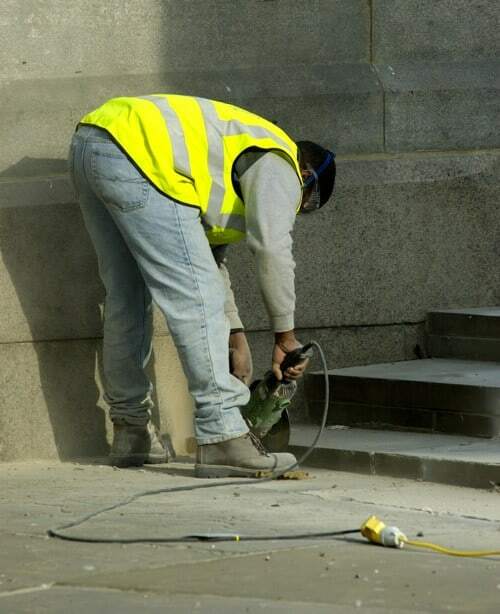 Temporary workers are 2-3 times more likely to suffer an injury while on the job. According to data released by the Bureau of Labor Statistics (BLS), 708 temporary workers were killed during 2012, which translates into 17% of ALL workplace fatalities. The growing number of job-related fatalities and injuries has prompted the Occupational Safety and Health Administration (OSHA) to take action. Just last month, OSHA cited four staffing agencies for safety violations which contributed to the death of a temporary worker at an Amazon, Inc. fulfillment center. OSHA has also released the Temporary Worker Initiative, the first in a series of documents that focuses on safety and health requirements when temporary workers are hired by either a staffing agency or host employer. This document, which can be accessed by clicking the link in the previous sentence, defines who is responsible for protecting temporary workers. One of the reasons why fatality and injury rates are so high among temporary workers is because of the breakdown of communication between the host employer and staffing agency. The staffing agency may pass the buck to the host employer, assuming they will provide ample training and resources to protect the temporary worker. On the other hand, the host employer may assume the staffing agency has already performed these tasks. If neither party addresses this issue, temp workers are left in a state of limbo, without the appropriate training and safety equipment needed for the job. Dr. David Michaels, OSHA’s assistant secretary of labor, noted that temporary workers are more than three times more likely to be killed or injured while on the job. That’s a pretty shocking statistic that should serve as a reminder to the importance of maintaining a safe environment for all workers, including temporary workers. OSHA stressed the importance of communication between the host and employer and staffing agency. If a party turns a blind eye or neglects to communicate, they could be subject to a fine. So if your business hires temporary workers, keep the lines of communication open with the respective staffing agency. Commercial fires cost businesses in the U.S. billions of dollars per year in the form of property damage, loss of productivity, ruined/damaged equipment, and higher insurance premiums. The heavy financial burden of a fire is often enough to force small businesses to close their doors. 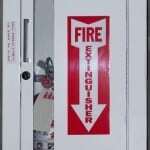 Thankfully, this is a problem that can typically be avoided by following some basic practices regarding fire safety. According to the Municipal Association Risk Management Services (MMARMS), there are approximately 70,000-80,000 commercial fires each year. Workplace fires may start from a number of different sources, which we’re going to discuss further below. Cigarette smoking among employees is one of the most common causes of workplace fires. Most states and cities in the U.S. have banned indoor smoking (to some extant), many businesses continue to allow their employees to light up inside. Ninety-nine percent of the time this won’t cause any issues, but there’s always a chance of a stray spark landing on gasoline, paper, lint or some other source of tinder to create a fire. Restaurant and other food service businesses are at high risk for grease fires. When grease is spilled or dripped onto a heat source, it can trigger a large flame. This problem is made worse when a worker attempts to extinguish the flame using water. Improperly storing flammable chemicals may lead to commercial fires. The Occupational Safety and Health Administration (OSHA) has strict standards regarding the storage, transportation, and handling of flammable chemicals to reduce the risk of fires in the workplace. Employers should familiarize themselves with these standards and execute them appropriately. Of course, electrical failure is another all-too-common cause of commercial fires. Plugging too many devices into an outlet, using worn extension cords, or not properly grounding electrical equipment may all trigger fires in the workplace. Clean up spilled oil, gasoline, and other flammable liquids in a timely manner. 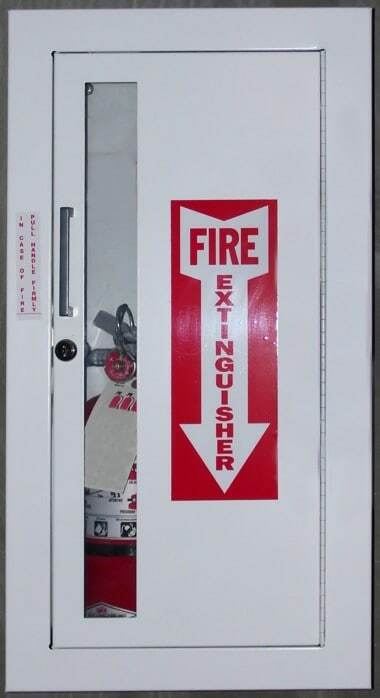 Keep a Occupational Safety and Health Administration (OSHA) and National Fire Prevention and Control Administration (NFPCA)-certified fire extinguisher on the premises (see our previous post for instructions on how to clean up fire extinguisher chemicals). Prohibit cigarette smoking indoors. Instead, place a self-extinguishing waste bin outside for smokers to use. Electrical wiring should only be installed and modified by a licensed electrician. 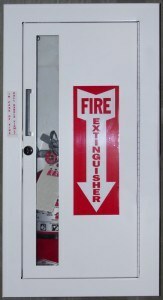 Keep flammable chemicals and liquids stored in a fireproof cabinet. Remove leaves, limbs and debris from roof and gutters. Who says cleaning up chemical spills in the workplace has to cost an arm and a leg? With proper planning, and using the right tools, workers can effectively clean water, oil, acids, and other chemicals without spending a fortune. For some helpful tips on how to clean workplace chemical spills on a budget, keep reading. Before we go into specific techniques regarding the cleanup of workplace chemical spills, I must emphasize the importance of prevention. Most spills, whether it’s motor oil, solvents, acids, etc., can be prevented through proper training and following protocol. Worker negligence is the most common cause of chemical spills in the workplace, so make sure workers whom are responsible for handling chemicals are fully trained. Have machines and equipment routinely inspected for signs of damage. Only store aggressive chemicals in approved containers. Require workers whom transport or otherwise handle chemicals to undergo training. Create a safety bulletin board in the workplace to display new, tips, and other information regarding chemical safety. Lay absorbent mats down in areas of high risk for chemical spills. You can read through some of our previous posts here at the AbsorbentsOnline.com blog for more chemical spill prevention tips. 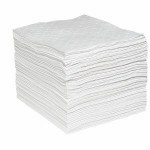 One of the most effective “budget-friendly” solutions to cleaning up a workplace chemical spill is to use absorbent pads. The Economy Spill Cleanup Pads, for instance, are made of polypropylene and can be used to absorb practically all petroleum-based liquids, including paints, vegetable oils, solvents, gas and more. Their ultra-fast wicking action makes them incredibly effective at containing and cleaning up chemical spills in a short amount of time. Time is of the essence when it comes to cleaning up a chemical spill. The longer a chemical is left on the floor, the greater the risk of a worker spilling and injuring him or herself. Thankfully, absorbent pads offer a fast and easy solution for cleaning up chemical spills. Just toss the pads directly on the liquid and it will instantly begin to absorb it. Another inexpensive method for cleaning up a workplace chemical spill is to use absorbent pillows. These pillows work in a similar manner as cleanup pads, absorbing spilled chemicals and liquids almost instantly. And depending on the particular type, some absorbent pillows can even be used to absorb acids. Monday marks the beginning of a week-long lightning safety awareness campaign by the National Weather Service (NWS). According to an article published by the BBC, approximately 24,000 people are killed by lightning each year. This doesn’t necessarily mean they are directly struck by lightning, as deaths may occur from fallen debris or house fires. 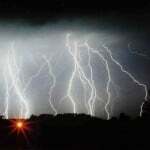 However, lightning-related deaths and injuries tend to peak around the months of June and July, spurring the NWS to launch a safety awareness campaign. Why are lightning-related deaths and injuries more common during the summer? The reason for the increased rate of injuries and deaths is due to the fact that more people are outside. When a person is outdoors during a thunderstorm, he or she is left open and exposed to lightning strikes. The NWS urges the public to remain indoors during storms while staying away from windows. “The past several years there has been an increasing trend across the U.S. in lightning injuries and fatalities while people are taking part in outdoor activities, such as fishing, walking or sports events. Simply put – there is no safe place outside in a thunderstorm. You must take shelter in a substantial building or hard-topped vehicle to stay safe,” said meteorologist Chris Miller. The Red Cross reports that anyone who can hear thunder is close enough to be struck by lighting. A good rule of thumb to follow is to stay indoors if you hear thunder. 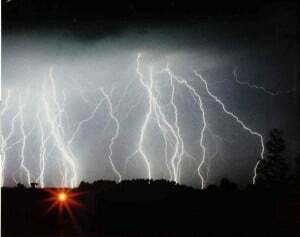 If you only see rain and do not hear thunder, you should be safe from lightning. The most important tip of all, stay indoors during lightning and thunderstorms. Whether it’s taking a bath, brushing your teeth, washing dishes, etc, avoid the use of water until the storm has passed. Do not attempt to seek shelter under a tree, as lighting may strike the tree, sending tiny bits and pieces of wood flying in all directions. Listen to a weather radio for up-to-the-minute news regarding the storm. When a storm approaches, unplug major home appliances and electronics. Keep a flashlight and/or candles nearby in the event of a power outage. Stay far away from pools, lakes, ponds, rivers, and other bodies of water during a thunderstorm. While Lightning Safety Awareness Week will wrap up Saturday night, it’s important for individuals and families to follow the precautions listed above throughout the year. Granted, more lightning-related injuries and deaths occur during the summer, the truth is that anyone can fall victim to mother nature at any given time of the year. When compared to other medical conditions, the cost of treating musculoskeletal disorders costs significantly more. And being that musculoskeletal disorders are one of the most common types of work-related injuries, this should serve as a real eye-opener to employers everywhere. The term “musculoskeletal” refers to any medical conditions associated with the bones, joints and muscles. The human body is a complex machine that relies on these elements to function properly. Unfortunately, it’s not uncommon for workers to develop injuries and/or illness in their bones, joints, and muscles, resulting in a musculoskeletal disorder. Workers are often susceptible to musculoskeletal disorders when proper ergonomics is not implemented. Sitting in front of a desk with poor posture for eight or more hours per day, for instance, may result in back pain due to the stress placed on the vertebrae. Currently, approximately 80% of all healthcare costs in Europe are associated with chronic disease and musculoskeletal disorders. Dutch researchers wanted to investigate this phenomenon further, so they took a random survey of roughly 8,900 European residents, asking them various questions ab out their health and what (if any) medical conditions they were experiencing at the time. Respondents reported a wide variety of medical conditions, some of which included musculoskeletal, cardiovascular disease, diabetes, high blood pressure (hypertension) cancer, skin conditions and mental health problems. 8.5% of the respondents surveyed reported having only a muscuskeletal disorder, whereas as 6.1% had a muscuskeletal disorder as 1 of 2 comorbid condition, and 5.6% had a muscuskeletal condition and at least 2 other conditions. 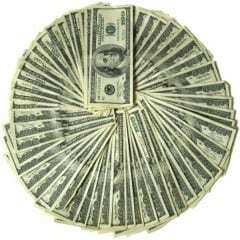 Researchers discovered that healthcare costs were approximately 50% higher for respondents who reported having muscuskeletal conditions compared to any other non-muscuskeletal condition, disease or illness. And the more health conditions a person suffered from, the higher the healthcare costs. “Costs for an individual with 2 conditions — neither of which was a musculoskeletal condition — were twice as high as costs for a healthy person. But if 1 of the individual’s 2 diseases was musculoskeletal, healthcare costs were 3 times higher. It is clear that the cost of delivering care to patients with musculoskeletal conditions is considerably higher than for those with other diseases,” said Antje van der Zee-Neuen, MD, from the division of rheumatology at Maastricht University in the Netherlands. Details about the cost of treating muscuskeletal disorders was presented at the European League Against Rheumatism Annual Congress in Paris, France.